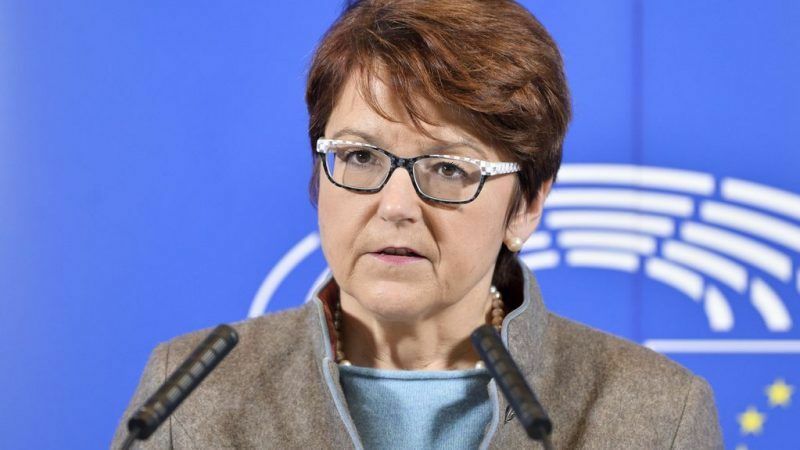 The ongoing investigation into Czech Prime Minister Andrej Babiš’s possible conflict of interest damages the Czech Republic and harms the EU as well, MEP Ingeborg Grässle said, revealing that the inquest has almost drawn to a conclusion. EURACTIV.cz’s media partner Aktuálně.cz reports. Speaking to Markéta Řezáčková and Helena Truchlá from Aktuálně.cz, Grässle said it was unprecedented in the EU to have a prime minister or a government official in the management of a company that draws EU funds. Ingeborg Grässle is a German Christian Social Union’s MEP and head of the European Parliament’s Budget Control Committee. How do you think the European Commission will handle the results of Andrej Babiš’s conflict of interest investigation? If it is confirmed that Andrej Babiš is guilty, it is impossible to act as if nothing has happened. An entire process of returning money from European funds and financial corrections will begin. The main question now is how trustworthy the Czech authorities are. That’s the main point. Such a situation is unprecedented for the prime minister or member of the government being at the same time in the management of a company that draws European subsidies. In the old member states, such a construction does not exist. These countries simply do not do it; it’s a question of political culture. This is why we need to address this issue and we will also look at how the Czech authorities are investigating the case. We will not just wait for the outcome and simply accept their conclusions. Did the Stork’s nest affair disturb the EU’s confidence towards the Czech authorities? Surprisingly, no. I personally have a good impression of the Czech authorities. Although it depends on which authorities we are talking about, but we know that the system is working in the Czech Republic and the police are investigating, even if their work is not easy. We have to protect them so that they can do their job and we need to know if someone is blocking this process. It is our duty to help them. Negotiations are currently underway on the EU budget and on the post-2021 cohesion and agricultural policy. The public criticizes the prime minister for trying to gain more favourable conditions for his business and hiding it behind the interests of the Czech Republic. Is there any way he could do that? It is certainly not easy to hide oneself behind national interests and it is not possible if it is written into EU regulations. However, what I fear is that in this case, it is an administrative procedure not covered by the regulations. The new financial framework is still only a Commission proposal. We still do not know what the final outcome will be but meanwhile, it is stipulating that national governments should have a much bigger say in subsidy programmes. This is a real threat because the programme can be designed to eliminate competition, equal access to subsidies and straightening opportunities between large, small and medium-sized enterprises. Just the owners of these big businesses remain close and within reach of EU funds. The question of conflicts of interest is so important, not only with regard to the past but above all in looking into the future. The head of the government has really wide possibilities – and he can be followed by the Parliament but also by local and regional authorities and here is the real danger. The results of the current negotiations will affect the conditions for individual countries in the EU for the 2021-27 period. Can the suspicion regarding the Czech Prime Minister’s possible conflict of interests negatively affect the negotiating power of the Czech Republic when dealing with other countries? It depends on which side Mr Babiš wants the Czech Republic to be. Does he want to help keep the whole EU together or does he want to throw a cog in the Union’s plans? He must make a decision. If the EU does not stick together, it is also his fault and it is also the fault of the Czech Republic. So do you think that today’s situation around Andrej Babiš damages the position of the Czech Republic in the European Union? Yes. As long as he has this conflict of interest, it damages the Czech Republic and harms the European Union as well. What is the biggest problem from the point of view of other member states’ representatives? Babiš should be primarily interested in serving the citizens of the Czech Republic. He must serve his country and the European Union so he should withdraw from all of his companies in order to take care of public interest. 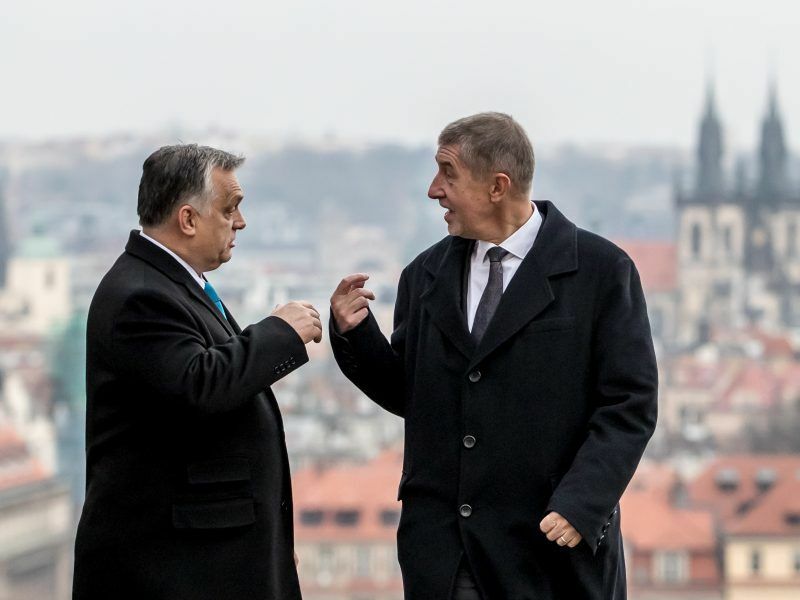 Why did the Commission wait to start looking into Babiš’s conflict of interest only on the basis of Transparency International’s suggestions that came from the Czech Republic this autumn? Why has it not been the case before? That is a good question. We have been working on it since 2014 [Babiš became finance minister in the government of social democrat Bohuslav Sobotka in January that year]. The EU Commission tells us that it has not received a complaint yet but that is not true. For the last four years, it has been hard to find that something has happened. There were audits and something was being done. The Czech Republic has a lot of problems with subsidies, some corrections have been made. We know about them and we are pursuing it. But why has nothing happened to Babis? You have to ask the EU Commission. I will ask Mr Oettinger. Why is the investigation so complicated? Andrej Babiš transferred Agrofert to trust funds just in the last year on the basis of newly adopted Czech legislation. Until then, he managed the company even though he was already a member of the government. I would like to emphasise that I have nothing personal against Andrej Babiš. I try to respect each elected politician. However, the conflict of interest and business clashing with politics is absolutely unacceptable in this case. Why is it so complicated? It took me some time to understand that Mr Babiš would not do what he had promised. He always promised to resolve this conflict of interest. Then a law was adopted in the Czech Republic [amendment to the conflict of interests Act of 2017, nicknamed “lex Babiš”] and I was pleased that this law would resolve some problems. However, nothing has changed. It took me at least two or three years to understand that these steps by the Czech prime minister are not meant to be serious. In the case of the EU Commission, it was probably similar. They believed it would be resolved but that did not change. It actually got even worse. Now, they understand that and they will do something. The case of Hungary (in connection with Hungary, the European Commission is occupying itself with the drawing of subsidies under the supervision of Prime Minister Viktor Orban’s government, editor’s note) is a prime example. 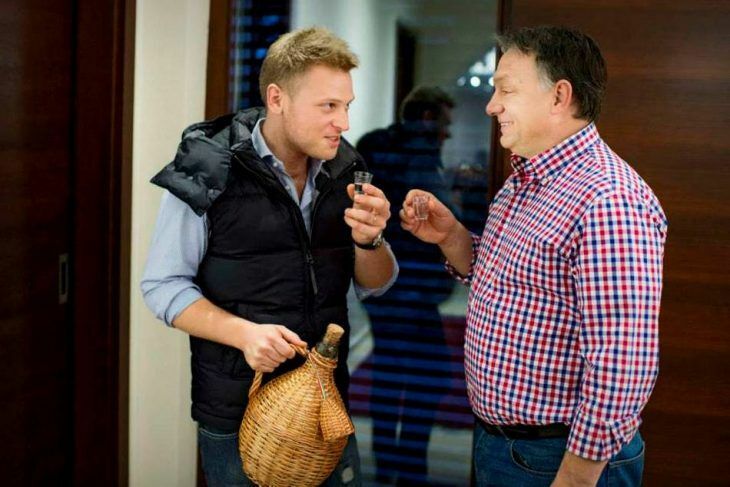 Hungarian prosecutors have launched an investigation into European Union-funded projects run by a company once controlled by the son-in-law of Prime Minister Viktor Orbán, weeks after the conclusion of a probe by the EU’s anti-fraud office OLAF. So Hungary was the impetus for the Czech case? Yes, because we see that the structure of the media is changing a lot. One-third of them are currently in possession of a large economic power. We see that European funds are used to enforce that construction and with all due respect, the purpose for which my taxpayers’ money is to be spent [Germany, represented by Ingeborg Grassle in Brussels, is a net contributor to the common European budget from which the subsidy is paid]. That’s why I focus on this issue. The ultimate result of the Stork’s Nest case was that the confidence we had has been shattered. There have been a lot of lies surrounding this case. European newspapers reported on the shift in focus on Saturday. According to the European Commission's Legal Service, Babiš continues to control Agrofert’s holdings and is thus guilty of a conflict of interest. According to the The Guardian and Le Monde, British and French dailies respectively, Legal Service of the European Commission, based on evidence from Czech branch of the organization Transparency International, found that Babiš continues to have a controlling influence at Agrofert. That represents a conflict of interest with his role of Prime Minister and as the former Minister of Finance. Through its public functions, Babis is responsible for negotiating and implementing the EU funds, of which he personally benefits. In its discussions on the future shape of the European budget and the subsidy policy, the Czech Republic urges that the national governments of the EU member countries should have the main say in the distribution of subsidies.